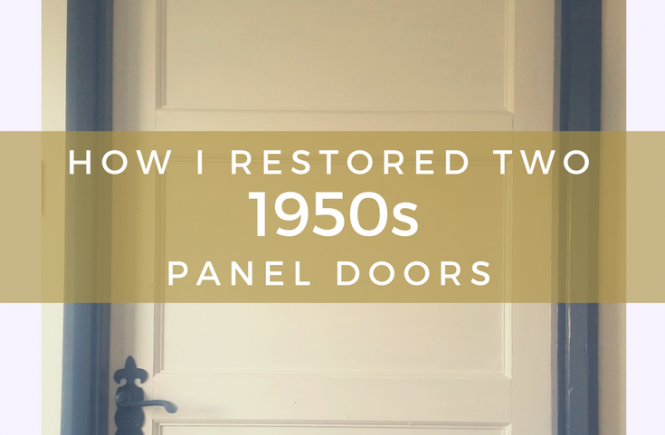 Here’s how I restored two 1950s panel doors found boarded over in my house. 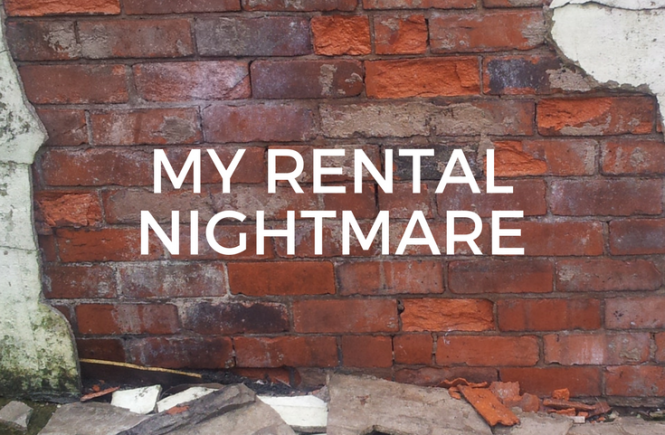 When we moved into our 1950s concrete ex-council house, there weren’t many good surprises… but it was cheap. The previous owner actually took a lot of the internal doors off of the hinges, for some reason! The ones that remained were cheap and tacky hollow core doors, and they were in dreadful condition. 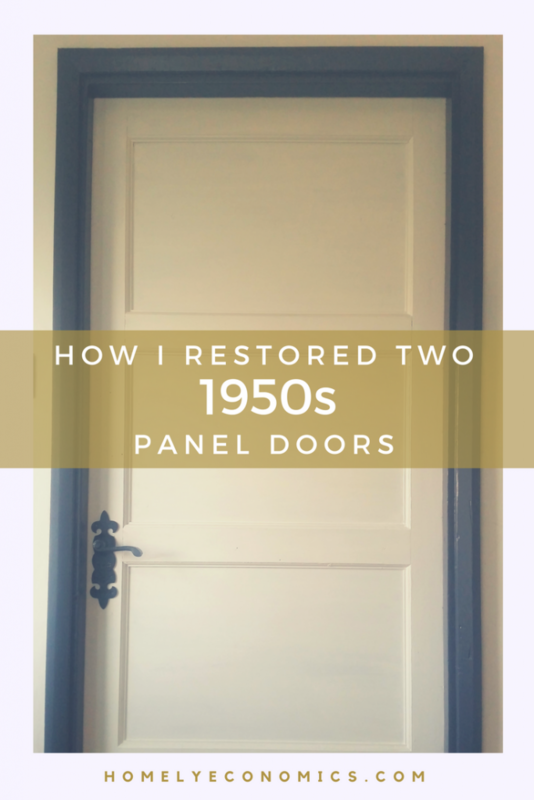 I did manage to find two vintage panel doors in the cupboards in my son’s bedroom, covered with hardboard panels as was the fashion in the 1960s. There was so much to sort out that something as small as doors had to wait, so it took a while to get around to it. As a true DIY fan, when I did find the time, I decided to go the long way around and do everything myself. This was both tedious and dangerous! I had to pull the hardboard off with a claw hammer and prise the old panel pins out with pliers. 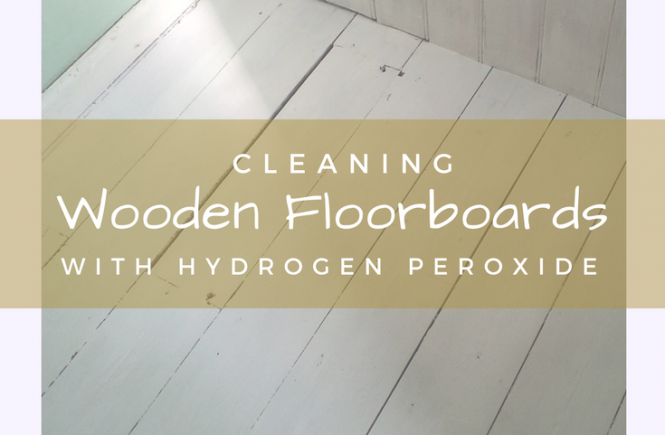 Next was the hard bit… I used caustic soda sprinkled over the door (laid flat) with water to strip the paint, working it in with an old scrubbing brush. I did it outside, so the fumes weren’t too bad, but it was a dreadful job. We finally got them in and hung them in time for our first winter in the house, but as they didn’t have latches fitted (being only cupboard doors previously) they never fully latched shut. Still, they did the job for keeping the rooms warm and saving on heating. 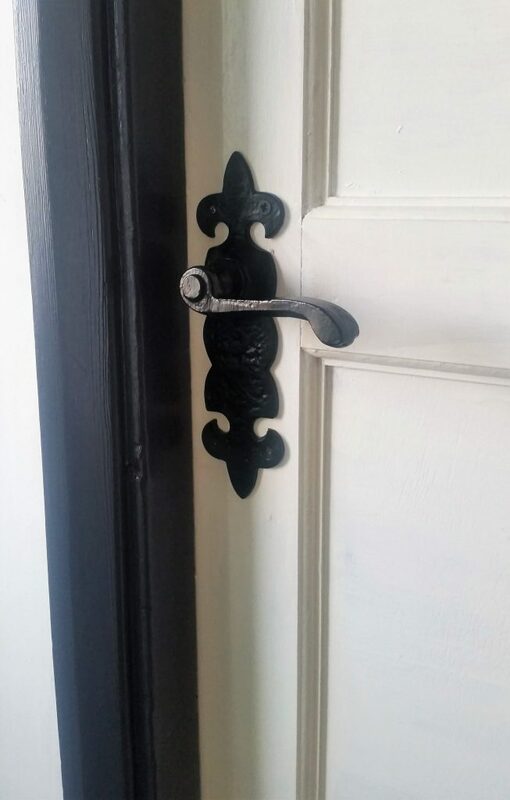 We bought the handles we liked (ok, they weren’t my choice, but my husband loved them and I’m willing to compromise) but as the old doors didn’t have latches fitted (only ball catches) the job of finishing them off just lingered, and there were bigger jobs to tackle first. We got accustomed to the cat pushing the doors open and wandering in, letting a draft blow through in his wake! It was getting new sofas that pushed us to fit proper latches to our doors, to keep the little monster out of the living room when we weren’t around and stop our sofas from getting clawed to shreds. Retrofitting proper handles and latches to the doors meant buying spade bits to drill the holes in the doors to fit the tubular latches, all of which we bought from Screwfix. These latches were a bit more expensive than the plain kind, but the hubby wanted the black ones to match the handles. 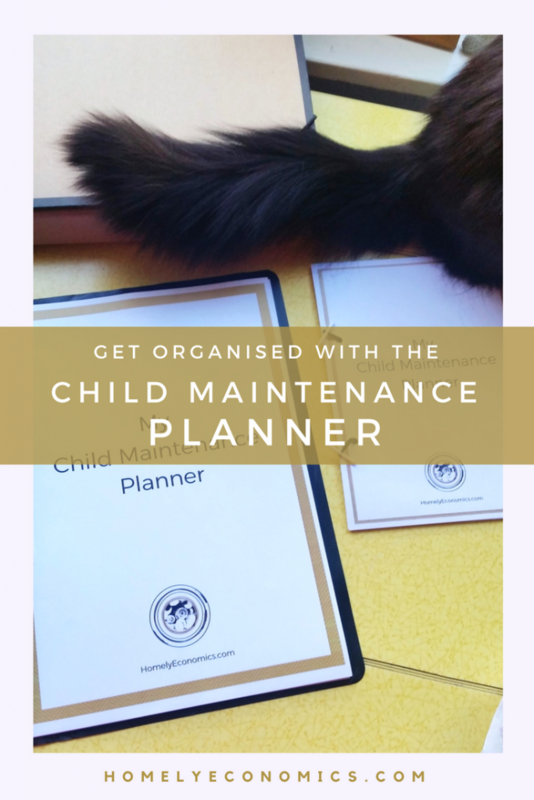 I really had no experience with this job beforehand, but that’s never stopped me. 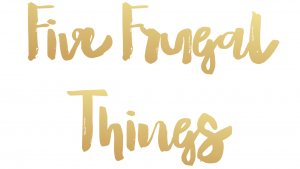 I learned a fair bit about buying the right latch through searching the internet and coming up with info like choosing the right backset length. 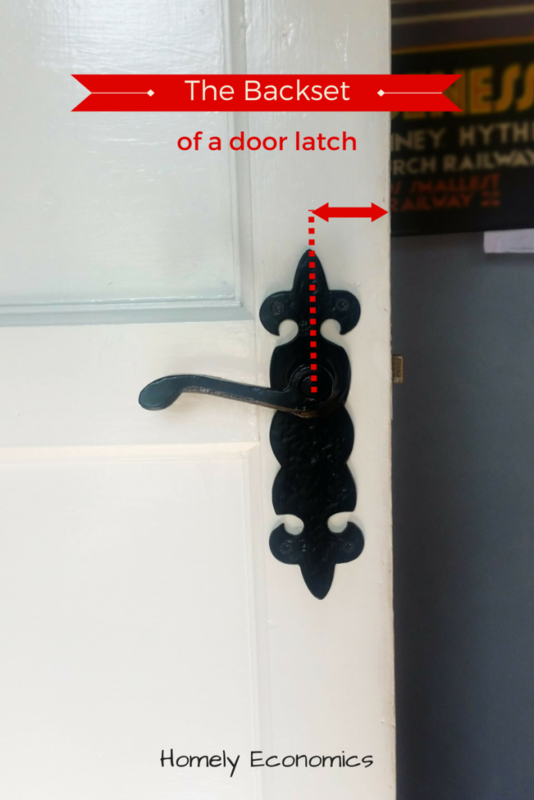 The backset is the distance from the edge of the door to the centre of the hole where your mortice bar passes through the door, connecting both handles. We had to buy latches to fit the pre-existing holes in our doors. When we took the handles out of their packaging, we realised that the mortice bar (that goes through the door into each handle) was too long for our skinny vintage door. Of course, that meant that we put the job off for months until we couldn’t wait any longer, and we had to buy some new hacksaw blades to make sure we could cut them down to size. That was a pain but Lord Balders managed to whizz through them fairly quickly and they worked fine. Not worth months of procrastination after all! I had to chisel a recess into the side of the door for the latch to sit flush, but my husband had previously taken my only chisel and blunted it by using it as a bolster. I lost my mind a little. So when this job came around and I had no chisel, I was forced to get creative. I do have an electric wood carving tool I picked up from Lidl years ago, and I use it for carving wooden sculptures. 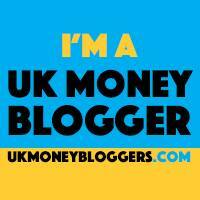 Fortunately it’s a sensitive enough tool to use on fine jobs, and I got away with using it for the doors! Using strips of balsa wood as filler for gaps where hinges were chiseled out was a great hack that I wished I’d known about sooner. Our door frames were a dreadful mess thanks to the previous owner’s enthusiastic door repositioning – there are lots of dents and gouges from where recesses for hinges were chiseled out. Lots of filling and sanding for us. These handles weren’t my choice, but my husband likes them, and they don’t bug me. And they keep the cat out of the room. Compromise! Everyone’s happy now but the cat! 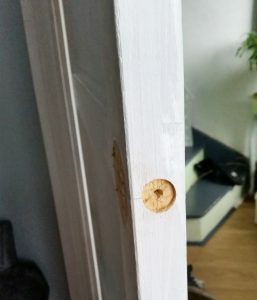 We had sad hollow cores on our apartment doors as well, but, unfortunately our door sizes are no longer standard in the US and we had to stick with them (versus buying expensive custom ones). A little elbow grease and we gussied them up ourselves for a few pennies. I hope to post about them soon!